The first stop on my sabbatical journey was my hometown, Virginia Beach, where I spent the first 17 years of my life, where my parents and J’s mother and our closest friends still reside. My sister, brother-in-law, nieces, and all my cousins, aunts, uncles and grandmother are all close by as well. As a child, we always gathered for big family celebrations at every holiday. Since I became a pastor, I’ve missed all the holidays, and all those gatherings. Christmas and Easter (and the school breaks that accompany them) are the busiest times of my year, and the times that my presence here at church is most important. Sometimes it’s possible to slip away for Thanksgiving, but only if we’re back on Saturday—and Virginia Beach is more than 650 miles away, too far to go for just a two-day trip. Once or twice, before B was born, J and I tried to travel home on Christmas Day, after Christmas Eve duties were done. The last time we tried it was nine years ago, when we both scheduled 6:00 a.m. flights on Christmas Day (from separate cities across the country, but that’s another story). I made it to Virginia by noon, having slept for two hours in my office between the end of the midnight service and a 4:00 a.m. trip to the airport. J’s flight hit a computer glitch, and he arrived at 1:30 a.m. the day after Christmas, having spent all of Christmas Day alone in the Cincinnati airport. We were both exhausted and miserable, and it took days to recover and begin to enjoy ourselves. We didn’t ever want to go through that again, much less risk putting a child through it, so we haven’t been home for a holiday since. This year, however, my sabbatical made all the difference, and we decided to give it a try. Christmas Day was a Sunday, so there was no talk of departing for the two-day drive any sooner than December 26. We had hoped to make it out before dawn, but J was sick and I was too exhausted from all the Christmas services. We straggled into his mother’s house on the evening of the 27th. After dinner, I felt this strange compulsion. I couldn’t wait any longer—I just wanted to get home, to my parent’s house, the house where I was raised and celebrated every Christmas until I was 23 and left for seminary. Even after a two-day, 13-hour drive, even through a raging storm of wind and hail, I piled B into the car and headed five more miles across town. I felt the tears creeping into the corners of my eyes as soon as I walked in the door, but it was the Christmas tree that really brought on the joy at being home, and the sense of loss after years of absence. The tree is covered with memories: the angel my best friend gave me in seventh grade; the Brillo-pad bird’s nest I made in art class when I was eight; the baby Jesus in a walnut shell from fifth grade Sunday School; the pair of little girl carolers representing my sister and I; the Snoopy with reindeer antlers that has hung on the bottom branches of my parents’ tree since before I was born. My son, celebrating his fifth Christmas, had never seen any of these things that meant so much to me, and it felt like such an gift to introduce him to the Christmas things from my childhood. B touched the various ornaments I made when I was not much older than he was, and it was as if he had a tactile, real connection to me as a child. He marveled to think that I made things in school and Sunday school just like he does. 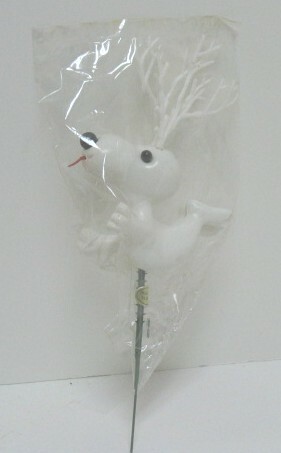 And Snoopy with reindeer antlers made him giggle with glee, just like I always do. This is as close as I could find to my parents' Snoopy with antlers. Theirs is an ornament (not on a stick), and is soft instead of plastic. Still, the antlers, absence of ears and adorable little tongue are a perfect match. The tree was also an aching reminder of how much I’d missed all these years. “Mom, you have a fake tree? You always have a real tree!” “We’ve had this one for five years, and we’re about ready to replace it.” “Dad, where is the cuckoo clock ornament? It always goes right here up top.” “Oh, that’s been gone for a long time—ten years or so. 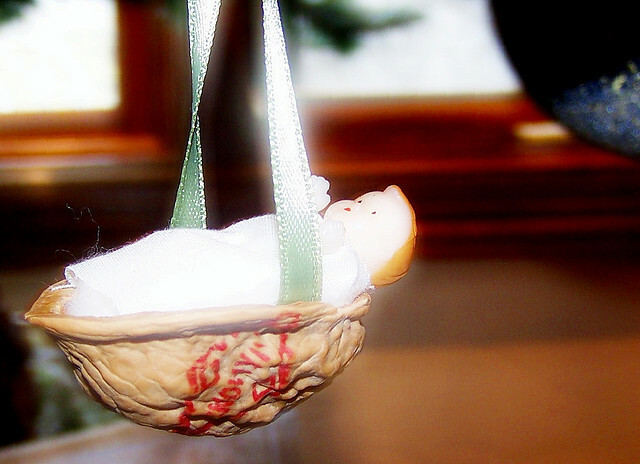 Probably broke or something.” I realized I am now a stranger to my family’s Christmas habits. Instead of the usual defensiveness—“You know I can’t come home. I’m a pastor. I have to work on Christmas.”—I was overcome by what I had missed. There was a moment of grief for all the holiday memories that we do not share, all the family gatherings that did not include me. Even this year, all the family gatherings had already passed by the time we arrived. There was a pain in my heart for the ways that B will never know those kind of big family celebrations, though we often have one set of grandparents or another visit us. Even more, I felt a sadness and an appreciation for what my family has given up in order for me to live into my pastoral vocation. My parents (and J’s) will never have all their children and grandchildren at home for Christmas, to gather together around the tree of memories. I love being a pastor. I love spending every Christmas and Easter so thoroughly immersed in the work of leading worship that I cannot get away. The sacrifice feels small when compared with the joy of my vocation—I am absent from my family to be present to the church. I wonder, though, about the rest of my family, who have the absence without the presence to something else. Going home for Christmas felt bittersweet. It was such a blessing to have a rare chance to be with family for the holidays, and to introduce B to Christmas traditions from home. It was also a reminder of all that we miss every other year. I am discovering that sabbatical itself is a glimpse of the road not taken. This time apart from pastoral responsibilities shows me what life might have been like without this unique vocation of pastoral ministry. I am glad of my chosen road, and I have no regrets or desire to change paths. Yet there is a painful poignancy to discovering another way of life, a different rhythm, a life not lived. There would be other sorrows and hardships on that road, too, but there would also have been other joys. I didn’t have the time to post a sermon sapling early in the week, so this is a copy of my final manuscript. However, I did not read from the manuscript in the pulpit, so the sermon as delivered can be found here. B has been seeing the ads for a new Disney movie for weeks, broadcast during morning cartoons aimed at a preschool audience, and he had been begging us to see it. The movie is called Santa Paws, and the previews show an array of adorable scenes of talking dogs and singing children and Santa Claus. The only way to see the movie was to buy the DVD, and we were reluctant to spend the $20. But his grandparents visited this week, and, well, you know how that goes. Just the night before last, we gathered in such beauty and sang carols and held candles. 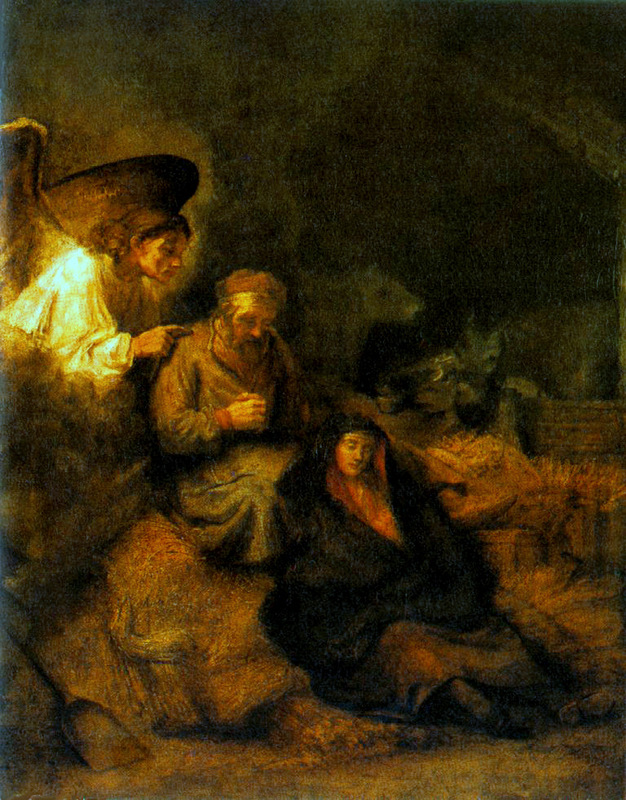 We celebrated the birth of a baby with angels and shepherds and glorias. Now, less than two days later, the lectionary confronts us with the slaughter of the innocents. Jesus and his family are refugees, running for their lives from an evil dictator set on murder. Instead of learning to coo and laugh and roll over and sit up, the Baby Jesus is running for his life to Egypt. We wanted adorable sheep and quiet donkeys, and we get soldiers and murderers and refugees. “I didn’t think it would be like this. I don’t like this.” Yet one story follows another. But those things always co-exist in Christmas stories. It’s not just Santa Paws. It’s a Wonderful Life is about a suicide attempt. A Charlie Brown Christmas is about a depressed kid who gets no Christmas cards or presents. Rudolph the Red-Nosed Reindeer is about misfit toys and misfit elves and misfit reindeer rejected by the North Pole community, running away and lost in the snow. Even Frosty the Snowman lives under constant threat of death by melting. 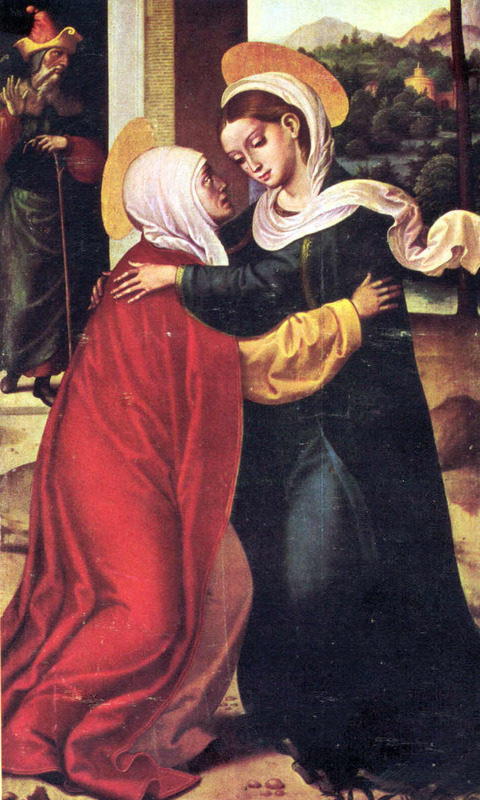 I even considered trying to get away from this story by celebrating St. Stephen’s day, a major feast day and holiday in many Catholic countries, but then we’d just end up talking about St. Stephen, whose major claim to fame was that he was the first martyr, stoned to death for following Jesus Christ. So the story of Christ’s beautiful birth stands side-by-side with the slaughter of the innocents. The baby Jesus is born homeless, and immediately they try to murder him. His family turns into refugees as they flee the angry King Herod. 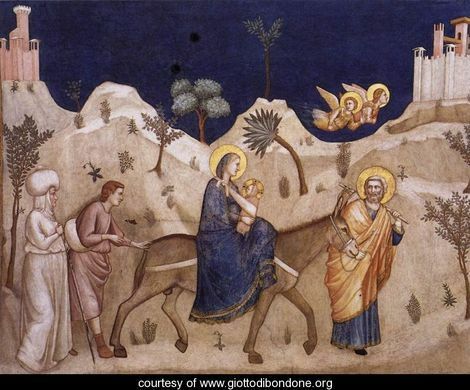 They leave everything behind, not returning from Bethlehem to Nazareth to fetch Joseph’s carpentry tools or introduce the baby to his grandparents or say goodbye to their families. This is part of the Christmas story, as much as the sweetly singing angels are a part of the Christmas story. As much as abused orphans and dying dogs are a part of Santa Paws. We want to hold on to the beauty of the manger, the candlelight and the serenity of “Silent Night,” but the real world interrupts with its violence and messiness and struggles. Because Jesus didn’t come for Christmas beauty, Jesus came for the real world. As much as we all enjoy the beauty of Christmas Eve, Jesus didn’t come to give us a glorious night of singing and prayer and praise. Jesus came to topple empires and threaten earthly kingdoms. It’s no wonder that his trouble with the authorities started at such an early age. He came to overturn the tables in the temple, to speak challenge to the Pharisees, to call people back to God. He came for tax collectors, prostitutes and sinners. He came for orphans locked in basements and patients in the ICU, for those who are grieving and heartbroken and lost and afraid. He came to give hope to the poor and justice to the oppressed. Jesus came to die on the cross. And if you have come into this world to be so disruptive that they are going to try to kill you, you’d better expect it will start as soon as word gets out that you were born. It may not be what we thought it would be like, but I suspect God knew all along that this is what it would be like. If God came to redeem sinners, to live in the real world with us, then that’s just where God had to go. What does it mean for us? It means that we need not cling to Christmas memories as our only light and hope. Because God-with-us, Immanuel, Jesus Christ, comes to live in the real world, not just in the perfect places. We need not fear the disruption of arrogant kings or violent forces or brokenness and imperfection or illness and sorrow, or even just the every doldrums of real world life. Because that is exactly the real world that Jesus came inhabit, and came to save. We need not fear a return to the real world—because, even more than in the beauty and pageantry of Christmas Eve or the serenity of the nativity, the real world is where Jesus dwells. The real world is what Jesus came to save. Thanks be to God. This is a new (what I hope will be weekly) feature on the blog–an initial reaction and some opening thoughts on this week’s lectionary passages, in preparation for preaching on Sunday. For more info, see About My Blog. We treat Lent as the great season of abstinence, self-examination and spiritual discipline in preparation to cleanse ourselves for Easter, asking God’s grace and forgiveness for our sins. Advent, on the other hand, has become a season for carols and decorations and pageants, as though we are preparing for a party rather than the disruptive presence of God. 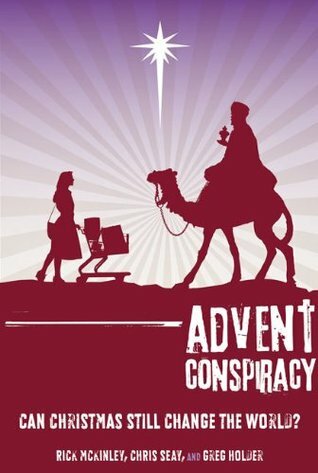 I think Advent should be more like Lent. I don’t mean dour and deprived, but I do mean a time of heightened intentionality and spiritual attunement. In Lent, we examine our souls and our behaviors and ask God to make us righteous again. In Advent, I think we are challenged to examine our cynicism and closed-mindedness and ask God to make us visionary again. The scriptures of the lectionary during the Advent season present some of the most compelling visions of peace, hope, love and joy in the whole Bible. Advent urges us to dream bigger, open ourselves to more possibilities, and to raise our expectations for what we can do and what God can do. My sermon series this year will focus on digging deeper into those traditional Advent themes of peace, hope, joy and love, and challenging us to pray for them in a more meaningful and considered fashion, with faith that God will answer our cries. People use the phrase “peace on earth” with abandon this time of year. It comes directly from Luke’s accounts of Jesus’ birth, where the angels announce that he comes to bring “peace on earth, good will to all.” From the beginning, then, Christmas has been tied to the promise of peace on earth. But I think our thoughts and even our prayers on the subject are puny at best. In fact, they seem to be more like letters to Santa than petitions to God. It’s as though we use our prayers for peace on earth at Christmas to assuage our guilty conscience. The frenzy of consumerism and desire for worldly things seizes us particularly tight in the days between Black Friday and New Years Day sales. We recognize the selfishness and self-centeredness of all this spending on things that we may want but probably don’t need, and we feel guilty about it. We pray for peace on earth and try to give a bit extra to those in need this season, so we can feel better about all the money we spend on ourselves. There’s nothing blatantly wrong with this kind of prayer, but it just seems so weak to me. 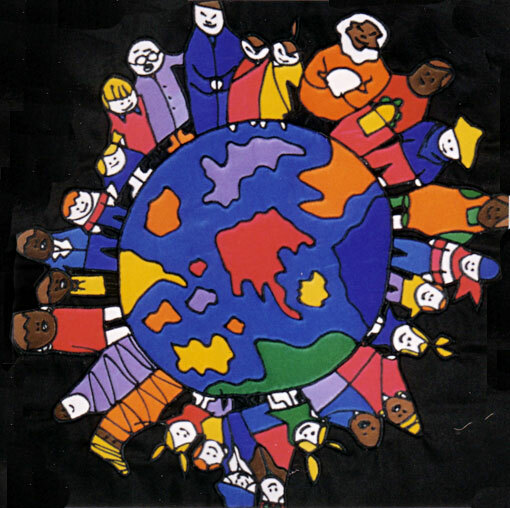 The only image I can conjure for “peace on earth” is a Coca-cola commercial with lots of little kids of different hues holding hands and singing. That’s nice and all, but not exactly powerful. It’s certainly not going to bring a stop to the decade-old United States wars in Afghanistan or Iraq. It’s not going to stay the violent hand lashing out in anger at an innocent child. It’s not going to free the woman held captive to an abusive husband. It’s not going to make a suicide bomber stand down and stop making bombs. God is better than that. Our prayers should be worthy of God’s true power, God’s true longing for peace and the depth of brokenness in our human condition. Peace, true peace, is not about wishes come true and smiling children and a contented, happy people. True peace is risky, uneasy, fragile, vulnerable, and challenging to all our contentedness. It requires courage and probably will make people unhappy. After all, war usually makes some people happy at the expense of making others miserable—I figure peace is probably going to make those victors lose some ground and leave them feeling displaced and discontented. Isaiah and the Psalmist in this week’s readings—they really knew how to pray for peace on earth. In the Psalmist, I hear pleading, almost begging: “For the sake of my relatives and friends, I say: ‘peace be with you.’” That sounds like the kind of prayer that might be uttered by the spouse or parent of one of our soldiers currently deployed in a combat zone. Or even by the family of one of our enemies—terrorists have families too. Isaiah takes it even further. He puts flesh on his prayer. He asks God to serve as judge between the nations, rather than allowing the victors of the war to set the rules and make the judgments. This is where the unhappiness comes in, as those victors see their privileges disappearing. He paints a picture of what peace looks like, in which human beings take their weapons of war and melt them down into tools for growing things. Swords into plows, spears into pruning hooks. Behind both of these prayers, the thing that makes them so powerful is the absolute confidence that God can make that peace possible. It is the absolute conviction of the person praying that peace—no matter how fractious and uncomfortable—is what God wants, and what God’s followers want. Can we pray with such conviction for peace on earth? What does a hearty prayer for peace really look like? 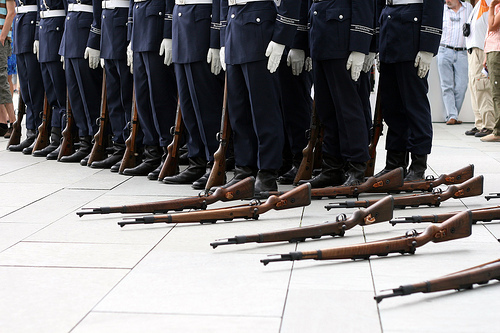 Dare we pray for our armies and those of the terrorists to lay down their weapons? With the passion of the Psalmist and the specificity of vision of Isaiah, can we move beyond a generic “peace on earth” and start praying for a concrete vision of peace, with sacrifice? Are we willing to give up some comfort and even some happiness in exchange for peace? Will we let God’s peace reign in the world, knowing it may disrupt our way of life? Will we let God in, so peace is possible?